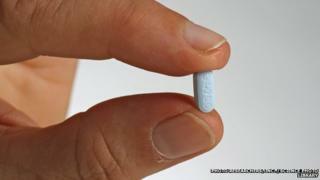 Northern Ireland has one of the world's highest prescription rates for anti-depressants, new research suggests. A report compiled by journalists at The Detail found NI doctors prescribe anti-depressants two and half times more often their English counterparts. Detail editor Steven McCaffrey told the BBC this was not just about the legacy of the past in Northern Ireland. "Traditional views that poverty and the Troubles are the drivers do not go far enough," he said. Special reporter with The Detail John McClure sifted through data and looked at 36m prescriptions, including 3.5m in Northern Ireland, over a six-month period in 2013. He looked at prescribing patterns for four different drugs: anti-depressants, sedatives, pain killers and anti-anxiety medications. On antidepressants, prescription levels were higher than those in 23 other countries. The Detail report found that GPs in Northern Ireland prescribed enough to give every patient in Northern Ireland a 27-day supply, as compared to enough to give a 10-day supply in England and a 19-day supply in Wales. Speaking on Radio Ulster's Sunday Sequence, Mr McCaffrey said: "We really are at the top of international league particularly with anti-depressants. "It may be a legacy of the Troubles, but what doctors are telling us is that they are increasingly finding patients who are too young to be directly affected. "The disparity is so huge that it warrants closer examination." The report also looks at the pressures faced by individual GPs to supply these drugs. It also asks questions about the availability of counselling services as an alternative to prescription drugs. The report is due to be published on The Detail website on Monday. Earlier this year, figures released by the Health and Social Care Board (HSCB) found that the cost of prescribing anti-depressants in 2013 in Northern Ireland was almost £16m. Is England a nation on anti-depressants?